Enrico Coniglio (Aqua Dorsa project collaborator with Oophoi for the album Cloudlands, he also released Sea Cathedrals solo on Silentes), and Elisa Marzorati. They've created a beautiful and compelling combination of delicate musical structures with "glitch" components and strange, experimental little samples. of elements results in an especially sensitive, moving set of mood pieces. Somewhere between chamber music and minimalism, between lightness and melancholy, this trio balances elements uncommon in ambient music. 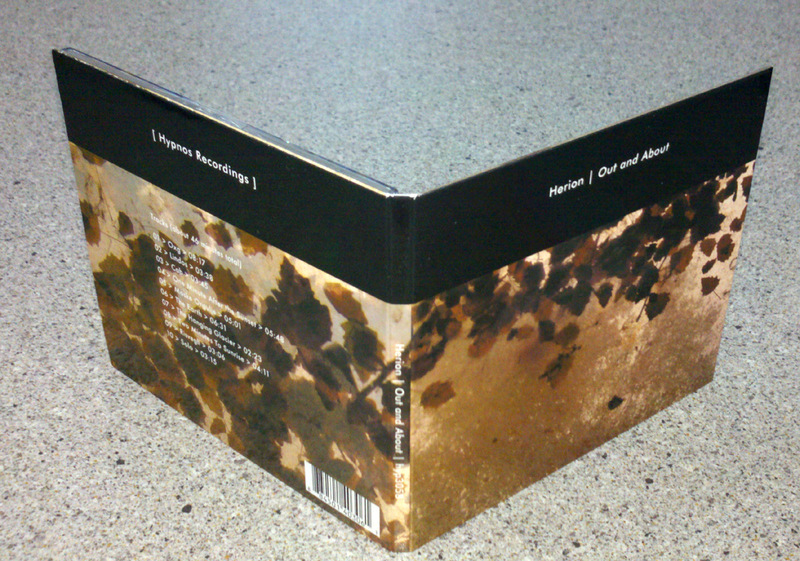 Hypnos is very pleased to release the first album this this trio. 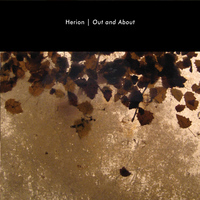 Out and About is not only a departure in terms of sound, but is also the Hypnos label's first release in digipak format. 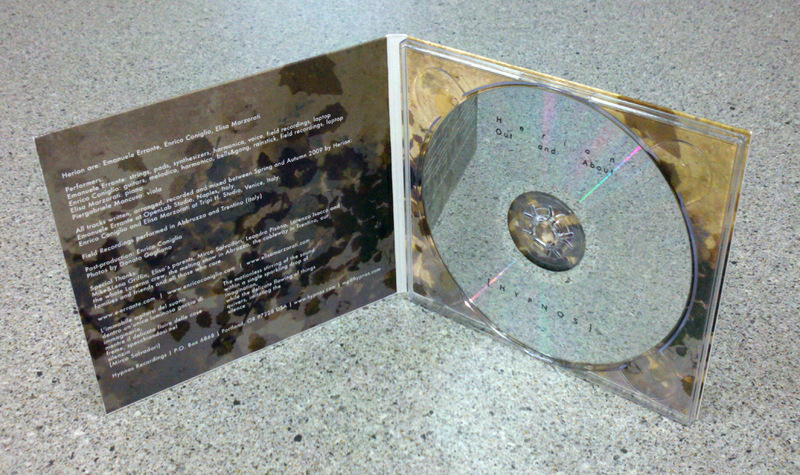 Here are pictures to give a sense of the package (click on images to see super-big version). See below for sample audio clips in mp3 format.